Home On the Fence Monument Mitras: Preserving National Heritage or Furthering Corporate Ambition? The ‘Monument Mitra’ is a plan of action devised by the BJP government to contain and control the systemic decay and deterioration of India’s monuments and memorials. The “monument mitras” under the proposed scheme will be private or semi-government companies who will use their Corporate Social Responsibility (CSR) funds to provide basic facilities and help in restoration. The majestic Red Fort was in the news when PM Modi held his Independence Day speech. Also a UNESCO World Heritage Site, the Red Fort has been making headlines for being adopted by Dalmia Group in an agreement alongside the Ministry of Tourism, Ministry of Culture and Archaeological Survey of India (ASI). There is a nationwide consensus that our monuments have been subject to a state of dereliction. Apart from dampening India’s tourism industry, poorly maintained historical riches are also disgraceful towards the history of its peoples. Does the implementation of the Monument Mitra scheme imply that the state has decided to absolve itself of responsibility that is owed towards our national heritage and delegated it to a private entity who wants to leverage this opportunity to build a brand for itself? Or, given that state care has not worked in the recent past, can the mitras salvage the situation? Source. 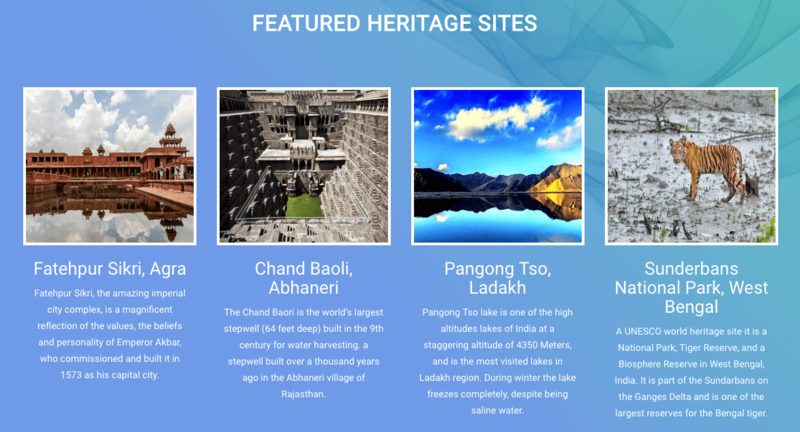 Some of the featured heritage sites under the programme. Upon first glance, the terms and conditions of the ‘Adopt a Heritage’ scheme seem pretty simple and clear. It allows private or semi-government companies to take charge of a monument and use their CSR funds to provide basic facilities and help in restoration. A deeper dive would throw up several hurdles at the heart of this project. In the case of the Red Fort, the transfer will allow the Dalmia Group — a cement company with no expertise in preserving monuments — to “construct”, “landscape” and also run an “interpretation centre” inside the complex. To begin with, monuments are crucial to retaining and building community memory. The Red Fort has long been perceived by the populous as the seat of the Indian ruler; it served as the main residence of the Mughal emperors for nearly 200 years, until 1856, when it fell into the hands of the East India Company. But the most profound memory associated with the Red Fort is the hoisting of the tricolour by Jawaharlal Nehru on August 15, 1947. 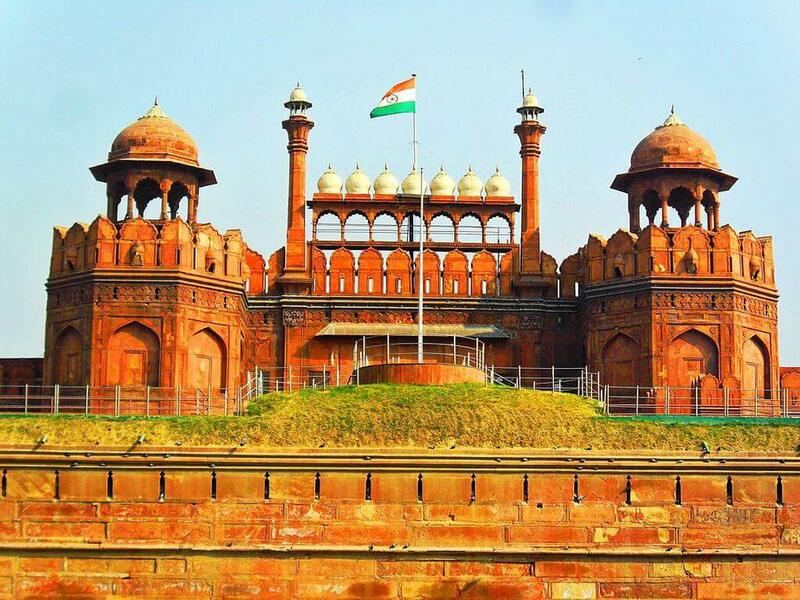 The Red Fort has since become a symbol of Indian freedom. The Dalmia group’s takeover of the Red Fort’s maintenance has degraded its symbolic relevance. The collective memory of a place is shaped by not only those who visit it but also by those who make logistical decisions concerning its upkeep and preservation. If the Dalmia Group is allowed to make changes, major or subtle, inside the Red Complex, it can potentially alter the way in which visitors view and experience the monument. Collective memory is not necessarily universal. Those in positions of power determine what events and which people will be commemorated. With attempts being made by certain groups to influence how history is documented, it is not outwardly for historians and others to be wary of Dalmia Group’s intentions and expertise. This is intensified because the group will also run an interpretation centre! Onto the notion that privatisation leads to better outcomes due to improved efficiency. Efficiency rests on two levers — expertise and willingness. Both these stem from an incentive. Expertise is definitely not the strongest suit of Dalmia Group by virtue of them never having restored monuments at scale before. If bureaucratic shackles are tying the hands of these agencies, it can be fixed by allowing for greater freedom within the existing framework, rather than involving those with no record of expertise in the field. The second lever — willingness — is also hard to clearly point out for the Dalmia Group. It has bagged the contract for 25 crores which is roughly the same as what the government has been spending up until now. Now, given that there is no scope for revenue collection or profit extraction (it is CSR driven), the incentive to do a superb job is not really the same. The only thing that these private companies could gain is goodwill and the integration of their respective brands with Indian tourism. Of late, there has been a growing emphasis on accounting for monuments in long-term city plans, which replaces the existing ad-hoc approach. The ‘adoption of monuments’ is a deviation from this trend. Dalmia Group has been awarded this contract for five years, which creates a stop-gap solution, deterring the business conglomerate from undertaking restoration efforts that will reap benefits in the long run. This short-term period could also lead to the creation of a classic corporate-political lobby where the focus of the Dalmia Group might be not on the Red Fort, but on the Cabinet that will eventually decide on the extension of its five-year term. Also just like cabinet secretaries change with every new government, the ‘monument mitras’ are also likely to be the ‘mitras’ of the political party in the majority. From Dalmia Red Fort to a hypothetical ‘DLF Red Fort’, a lot can change and so can the way history is portrayed to the people. This ephemeral nature of planning can be dangerous and distortionary. The Adopt a Heritage scheme seems unobjectionable to the naked eye; there is simultaneous potential for promise and danger to unravel itself. The very history that we are trying to preserve as Indians should have taught us well not to be too trusting of intruders in the shape of traders (read: East India Company). Most of the furore against private investment in national monument care was directed at Dalmia Group’s takeover of the Red Fort. Before jumping to any conclusions about the mitras and their involvement, we must ask ourselves why monuments are important and why they ought to be preserved in the first place. The answer is fairly simple: monuments not only serve as reminders of a shared history but also allow us to actualise abstract ideas of this history into tangible things. Tracing back identities is a crucial anchor to the process of nation-building. This way, a shared past is curated and enables its peoples to trace their identity in the project of nation-building. They are also aesthetically valuable because of their unique compositions and intricate architectural designs, which in turn not only increase the splendour of our past but also help increase tourist traffic. However, to maintain this splendour and continue this association, these same monuments require hundreds of crores every year, not only towards their maintenance (which in itself is a precarious task) but also towards creating modern facilities like conservatories, interpretation centres, new security and surveillance measures, etc. That the government has thus far failed to sufficiently maintain or invest in upkeep was (and still is) apparent for all and sundry right from the Subz Burj to the Taj Mahal itself. In this context, the private sector becomes fairly resourceful. Under the ‘Adopt a Heritage’ scheme, the government’s ‘monument mitras’ use their CSR funds to provide basic facilities and help in restoration. Throughout the duration of the MoU, the government has full liberty to withdraw and rescind the contract. Moreover, an oversight and vision committee is created that looks at the bids and subsequent maintenance. Such a program had existed under UPA-II as well, wherein the results of ONGC’s takeover of the Red Fort and the Ellora Caves in 2013 were noteworthy. Additionally, the restoration of the Subz Burj in Nizamuddin with the Aga Khan Foundation and Havells has produced phenomenal results. Moreover, speculation on Dalmia Group’s (lack of) expertise is redundant because even the Archaeological Survey of India hires heritage contractors and experts in several conservation exercises. The Dalmia Group will employ similar strategies, and rightfully so. A common perception within the Indian intelligentsia has also come from a place of mistrust of the private sector and its New Public Management-oriented policies. Unfortunately, the Indian bureaucratic system has often failed in ensuring the smooth delivery and functioning of a variety of public utility systems. With this poor track record, the introduction of public-private partnerships, or involvement by the private sector in some capacity, has proved fairly worthy. A great example of this has been the outsourcing of certain jobs within the passport office to Tata Consultancy Services. With oversight from regional and sub-regional officers, the partnership has allowed for a more effective passport delivery system. Even in the case of private maintenance of railway coaches, there has been no such hegemonization. If anything, service delivery has improved. Further given that these companies can advertise only on advertisement boards already placed around the area and can have limited merchandise-sale on the spot, the allegations can at best be seen as an overreaction. Source. The MoU reinforces government and ASI control. There have been suggestions for the ASI to be revamped by increased funding and training. But given the ASI’s poor track record of taking care of monuments — it has lost around 90 protected monuments — organising itself and adopting modern practices, a higher budgetary allocation would not guarantee improvement. Second, the current budget allocated to the ASI is 975 crores, apart from the 2738 crore allocated to the ministry of culture as well as funds made available to state governments towards heritage conservation. Any further increase in budget would not only have limited potential for change but would take away important resources in a developing country where 1/5th of the population lives below the poverty line and most people don’t have access to clean drinking water and three square meals a day. In this context, it is important to recognise that where the government spends its money matters, as it can be redirected to schemes that have a direct impact on the people. It is obvious that the government is not rushing the scheme. Out of 3686 protected monuments, only 93 have been put up for bidding. Of these, 31 agencies have been identified and only 4 MoUs have been signed thus far. The scheme is innovative, resourceful and brings more helping hands to a national cause. With the government still involved in this project’s oversight, to say that this will turn into a ‘Dalmia Red Fort’ is a far cry. At the end of the day, the collective aim is to conserve, restore and better operate our monuments and symbols of historic pride. If the private sector is volunteering to do this, knowing that there is no profit to be gained, then it should be given the chance.